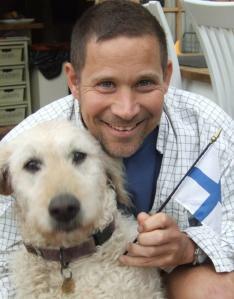 “The Clay Lion” by Amalie Jahn is an amazing piece of heart-breaking and uplifting fiction. Aimed probably at young adults as main target audience the book however has a lot to say that is relevant to people of all ages. It is the story of one brave young woman that choses to go back in time to try and save her fatally ill younger brother. The idea of time travel did not appeal to me at first since it has been done many times and some authors in the genre can try to be too clever for their own good. “The Clay Lion” is way above that level and raises some fascinating and worthy questions about regrets, missed opportunities, second chances and destiny. By doing so successfully the book qualifies – in my humble opinion at least – as literary fiction and philosophical offering on the subject of turning back time. It made me think hard about what I would chose to relive and try and change in my life. The main story – the disease of her younger brother – is often sad but always full of hope and positive and important messages, a tribute to courage and an appeal to the good side in all of us. Written with charm and emotional wisdom this is hugely rewarding and captivating. A powerful and important read and a talented author to watch. What was the first thing you wrote, and how old were you when you wrote it? I used to have a little hardbound journal when I was in about second or third grade. I’d write little stories but mostly about stuff going on in my life. In fifth grade I wrote an autobiography. It was short. I’ve written a lot. You remember school and all the writing? The essays? The forced short stories? I went to college and made a lot of stuff up. I was pretty good at writing around a subject. I became a teacher and wrote lesson plans. And report card comments. Those are fun. How many different ways can you tell someone their kid’s a genius? Or not living up to their potential? Or crazy? I’m most famous for my to-do lists. I have at least six going at all times. I will add something I’ve already done to the list to make myself feel better. Oh, and I’ve written a couple of novels. What made you choose your genre of writing, and what about your genre fascinates you? My first novel, The Clay Lion, is young adult fiction. What I love most about YA is that the young are impressionable. They’re not jaded yet. You can reach them and make them feel important things. And you can make them fall in love with the written word. It’s what I set out to do. Yup! I’m convinced my second novel, Among the Shrouded, is unclassifiable. It’s adult for sure. A little bit paranormal. A little bit thriller. Crime drama. Social awareness. I guess I need to spend more time classifying my ideas before I write them! Much has been written about how a book will change from the original intent of the writer, as it’s being written. How did your book change as you created it, and did it surprise you how it came out? The Clay Lion definitely did. I started out writing it, but somewhere along the line, my main character Brooke took over and finished it herself. She wrote the story for me. At one point I was sitting at the kitchen table finishing one of the hardest chapters of the book. I started crying because I was devastated by what I had just written. My husband looked up at me from across the kitchen and asked what was wrong and I had to tell him that I was upset at what Brooke had done. He stared at me like I was nuts and asked how in the world I could be surprised by what had happened when I was the one writing the book. To this day, I have no idea. Brooke took the book in a direction that I hadn’t even fathomed. It was amazing. Tell us a little about the history of your book. I’ll talk about The Clay Lion, my first novel. The idea was born of two converging ideas. The time travel element came to me in a dream. My sister and I were some type of superheroes and we were traveling through time saving people’s lives. When I woke up, I wrote down as much as I could remember. As I was writing down my ideas, I began thinking about a little girl named Lauren who happened to be one of my daughter’s good friends. She had recently been hospitalized with leukemia for the second time and was searching for a bone marrow donor. I couldn’t help but wonder how her older sister would react if she should die, knowing that her sister had been her first bone marrow donor. The two were probably the closest sisters I’d ever had the privilege of knowing. The idea of a sister going back in time to save the life of her beloved brother was born and The Clay Lion is a testament to the power of sibling love. Lauren passed away just this past October. A tragic ending to a beautiful and very short life. I hope that The Clay Lion brings solace to grieving families everywhere and honors Lauren’s memory. My first manuscript only took about 4-5 months to write. But the editing seemed endless. Publishing too. All toll, The Clay Lion took about 9 months start to finish. EDITING. No question. I’m a perfectionist. I question every word choice. The structure of every sentence. Every plot choice. I trim a lot of fat. I hate it. And also, I love it too. What is the most difficult element in selling your book, and how do you overcome it? Reaching new readers is really difficult without the help of a huge publisher behind you. I had no idea how hard it would be and I honestly think if I had known I may not have ever published to begin with. But I’m here now and I’m learning. There are a lot of wonderful, knowledgeable people out there and I’m happy to accept help! Oh definitely. I don’t want to give too much away, but I have strong beliefs about life and why we are here and our place in the world. Most of our day to day experiences have less to do with what happens to us and more to do by how we react to what happens to us. I think someone wise probably said that at some point, but you can quote me on it here. I’ve gotten fan mail from teenagers thanking me for writing the book because it made them feel peaceful in a way that other YA books have never done. I’ve received emails from people who have told me how much comfort they found in the pages of The Clay Lion. One woman even told me that she had never come to terms with the loss of her brother, but after reading the book had slept soundly for the first time in years. So, yes, I think it is both well received and duly noted. I’ve been told that my character development is one of my greatest strengths as an author. People have connected with my characters and can’t stop reading because they need to find out what happens to them. I think it’s a good thing that my readers take a vested interest in what happens to my characters. So I guess what I like most about my characters is that people seem to like and relate to them. My favorite character is Thomas from Among the Shrouded. When I first started writing I didn’t connect with him. I had trouble writing from his point of view and I think it was mainly because he was the first male character I’d attempted to convey. I kept asking men, “what do you think Thomas would think about this?” to which the men would respond, “Nothing, men don’t think!” Thomas eventually found his voice once I got to really know him and he became my absolute favorite. He grew as a character and yet remained true to himself. I love that about him. And he’s cute in my head, so there’s that. Is it egotistical to say that I’ve actually thought about this? I picked out a few songs I’d like to have featured as well! My best friend wants to see Zac Efron play Charlie from The Clay Lion, except not the 26 year old, just out of rehab Zac Efron, but the one from High School Musical. So it seems we may need an actual time machine for that. I see Michelle Trachtenburg as Brooke. I loved her in Buffy the Vampire Slayer. Again, I need the teenage version of her. My oddest quality is easy. I have a full blown anxiety disorder. It is undiagnosed and I am unmedicated. My biggest anxiety producer is germs and illness. My favorite gift is hand sanitizer. I use it all the time. I may ask you to use it as well should you be in my company. This quirk, as I choose to call it, drives me as crazy as it does everyone else, but luckily the people who love me have learned to accept me as I am. I don’t know that I am qualified to speak to my best quality. I do the best with what I’m given to help others along the path of life. I hope that it’s enough. Tell us a bit about your current book, and where it’s available. A,ong the Shrouded released on October 31 and it’s about three main characters (Mia – a police officer, Thomas – a busboy, and Kate, a Ukrainian student), who are each born with a different ability. They don’t realize their gifts have a purpose or that they are fated to meet one another to fulfill their common destiny. It’s available exclusively through Amazon in both print and Kindle editions. Of course! I had every intention for The Clay Lion to be a stand-alone book but so many readers have asked specifically for more of Brooke’s story, I’m working on a sequel! How do people get in touch or follow you? 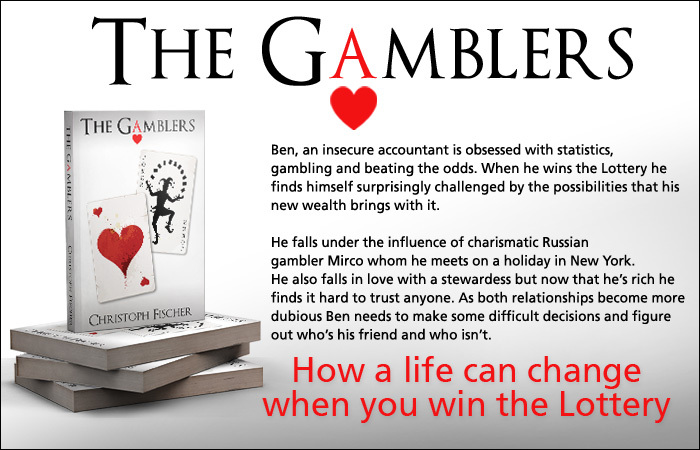 My thriller THE GAMBLERS will be released tomorrow. If you pre-ordered, it will be delivered wirelessly to your kindle at midnight in your time-zone. 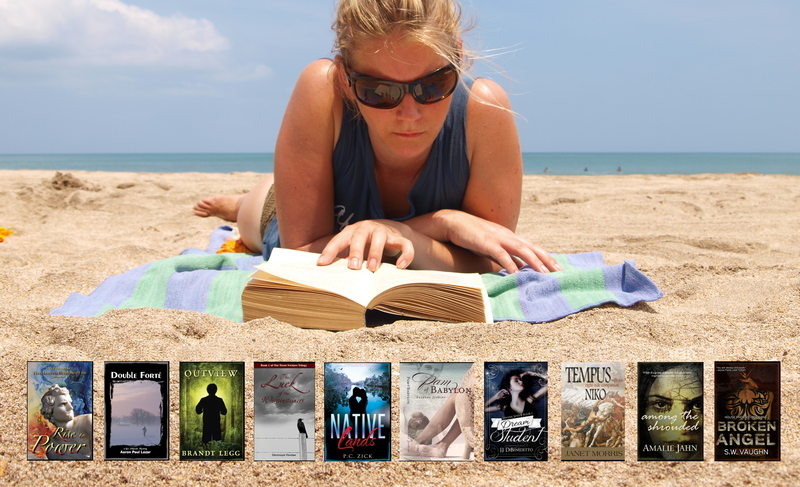 The Boxed Set will be free all through June – ten books to keep you going all the way through the summer and to get to know ten diverse and talented authors. 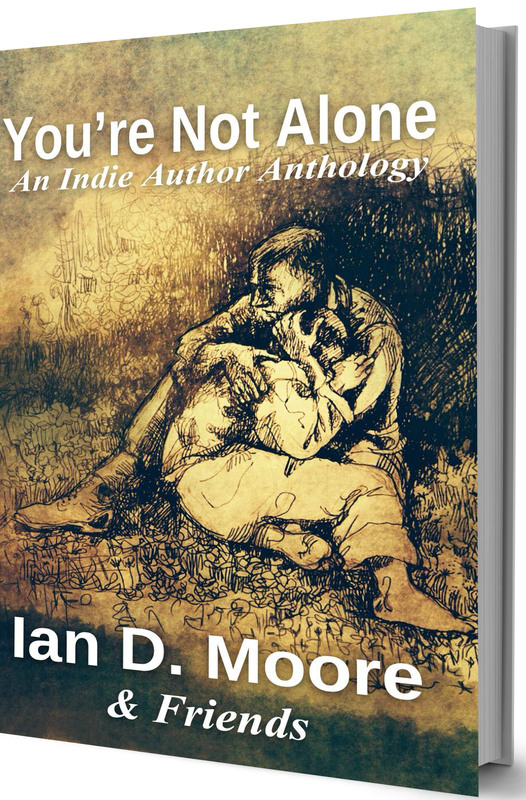 “You’re Not Alone”, an anthology in aid of MacMillan Cancer Care. AT ODDS WITH DESTINY is now FREE to download – and that’s no Fool’s Day joke – it’s true! For the readers of young adult books, Brandt Leggs’s, fantasy thriller OUTVIEW, will keep you on the edge of your seat. In, AMONG THE SHROUDED, Amalie Jahn tackles an important issue in her gripping story dealing with human trafficking. The historical fiction genre is well represented with one of my favourites, THE LUCK OF THE WEISSENSTEINERS, Christoph Fischer’s profound and momentous novel about the anti-Semitic atrocities of WW1. This is a seriously great book collection, written by seriously impressive writers! In the past I’ve sometimes found that with collections, it can be hit or miss. Not this one! Indeed, in addition to the authors’ extremely polished writing, what was so intriguing about this compilation were the various subject matters. From World War II to native Floridians; from paranormal wanderings to paranormal psychic powers; from suspense to mythical plots; from romance to heroism, AT ODDS WITH DESTINY pulled me into such highly descriptive worlds and appealing characters that I went from book to book without pausing, with each one staying with me for a long time. Highly recommended! Yes, sadly, it’s just me. I have a great cover designer, Daz Smith, who helps me with my blog, though. Being a baby boomer and attending school in the 50’s did not give me much information about WW11 and Nazi persecutions of the Jews and anyone who opposed them. I think teachers and parents just wanted to forget about the war and the atrocious actions of the evil Nazi regime. This book helped me learn about the history of ordinary folks living in eastern Europe between 1933-1945. This inhumane treatment of people because of a religious faith is despicable and it continues today in so many countries under the veils of color and creed. It really tears my heart to think human beings can be so cruel and hatful to one another. The story told here in the Luck of the Weissenteiners blends suffering, depression and bleakness with the help of some individuals who took the chance to reach out and help the persecuted. In this way it gives light to the darkest moments in history of the 20th C. A revelation personally enabled me to see that those who survived the Third Reich persecutions also had a difficult time after being freed by the allies. Things didn’t just happen or return to normal. There was no normal, nothing to go back to because life was obliterated. No cities, towns, families to go back to. Survivors didn’t trust anyone. So much to think about and reflect upon. I hope readers will take from this book as much as I did. In the sleepy town of Bratislava in 1933 a romantic girl falls for a bookseller from Berlin. GretaWeissensteiner, daughter of a Jewish weaver, slowly settles in with the Winkelmeier clan just as the developments in Germany start to make waves in Europe and re-draws the visible and invisible borders. The political climate in the multifaceted cultural jigsaw puzzle of disintegrating Czechoslovakia becomes more complex and affects relations between the couple and the families. The story follows them through the war with its predictable and also its unexpected turns and events and the equally hard times after. Slightly ahead of schedule, my next novel is already available for pre-order on Amazon. “In Search of A Revolution” is a return to historical fiction for me and boy did I miss it. It will be delivered to your Kindle by March 26th. If you cannot wait, I have mobi and pdf Advance Review Copies. 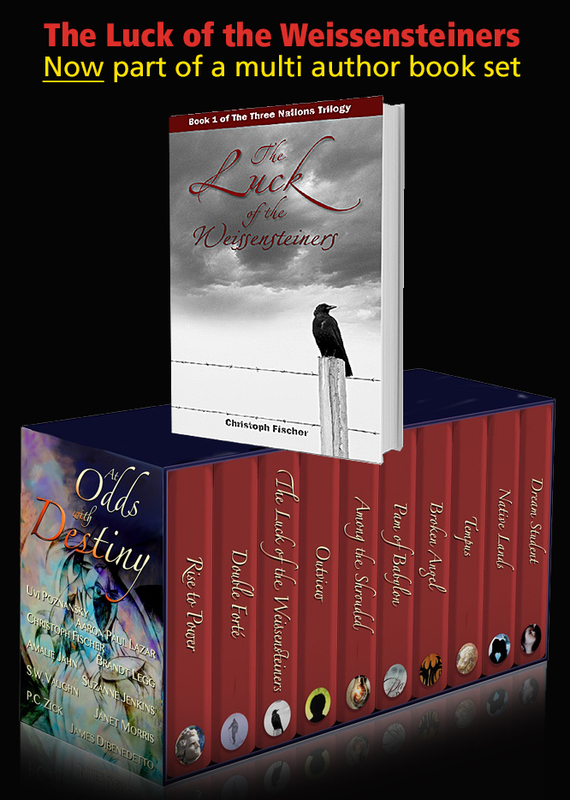 Alternatively, have a taste of my historical fiction in “At Odds With Destiny“, a discounted multi-author set of ten novels for $0.99, out on March 03rd, also available for pre-order. available for preorder from Amazon, iTunes, Barnes and Noble, Smashwords and Kobo! Ten full length novels, including Pam of Babylon. Bestselling, critically acclaimed, and notoriously creative authors from across the book continuum join forces to bring you At Odds with Destiny, everything you’ve wanted in a boxed set but thought you’d never find: full-length novels brimming with myth, fantasy, mystery, history, romance, drama, originality, heroism, and suspense. Finding themselves at odds with destiny, the characters in these stories fight to shape their future and define who they are. Come follow them in their amazing journeys.